Try these recipes once the main event has passed! Cranberries -- you don't have to let them linger after Thanksgiving! Make the vibrant, tangy side dish the star of some delicious post-turkey day meals. 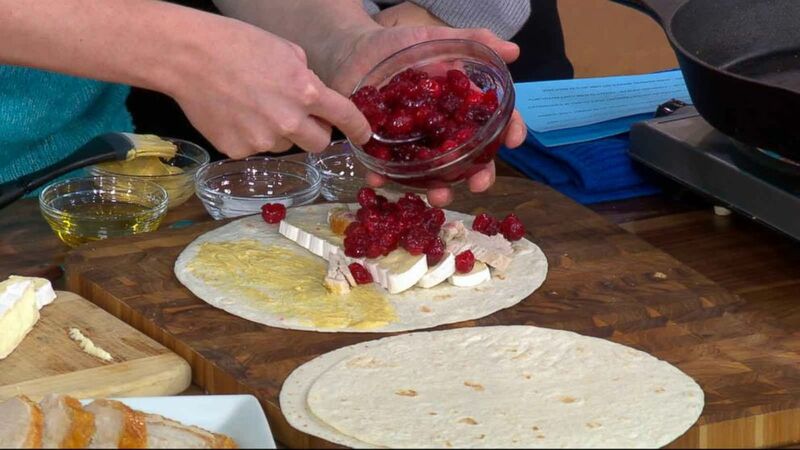 Deputy Food Director Greg Lofts from Martha Stewart Living magazine joined "GMA" on Friday to share the best ways to use up your leftovers all weekend long. 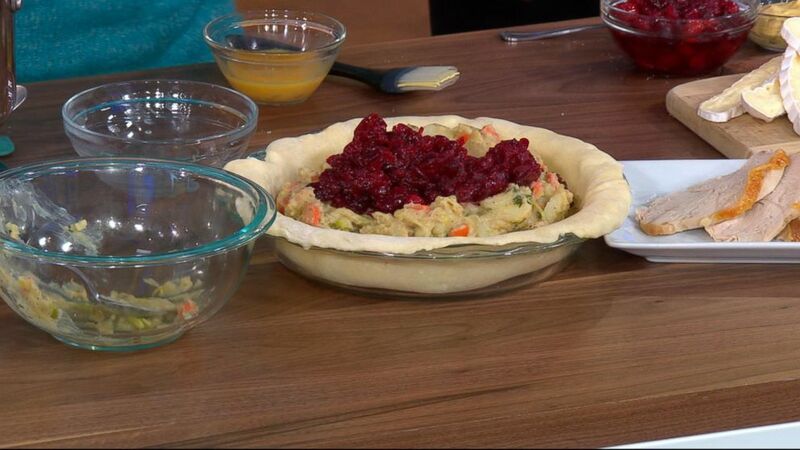 "Cranberry sauce really is the unsung hero of the Thanksgiving table," Lofts said. 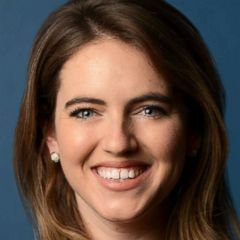 "You can use the leftovers all weekend long to reimagine all that food in your fridge from the big holiday feast that will be so delicious. The tart sweetness of the cranberries makes all the flavors shine." 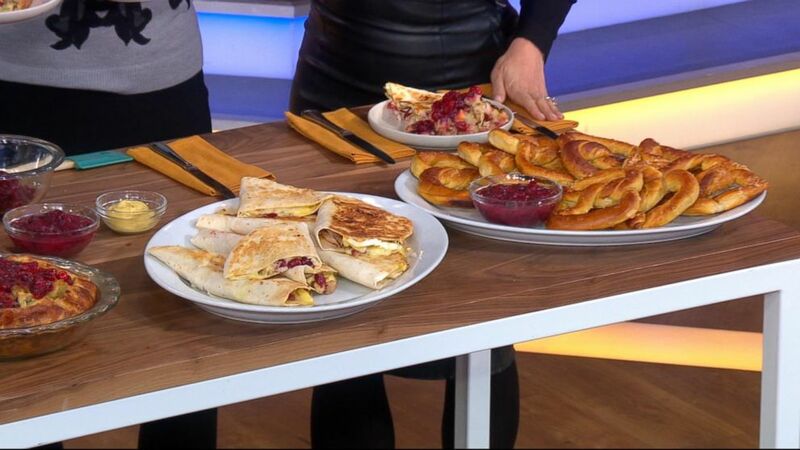 (ABC News) Brie and cranberry quesadillas are a perfect way to snack on your leftovers. Check out these creative ways to utilize any leftover cranberries that circled back to the fridge after your Thanksgiving meal. Preheat oven to 425 degrees. Spread one tablespoon of mustard on the side of the tortilla. 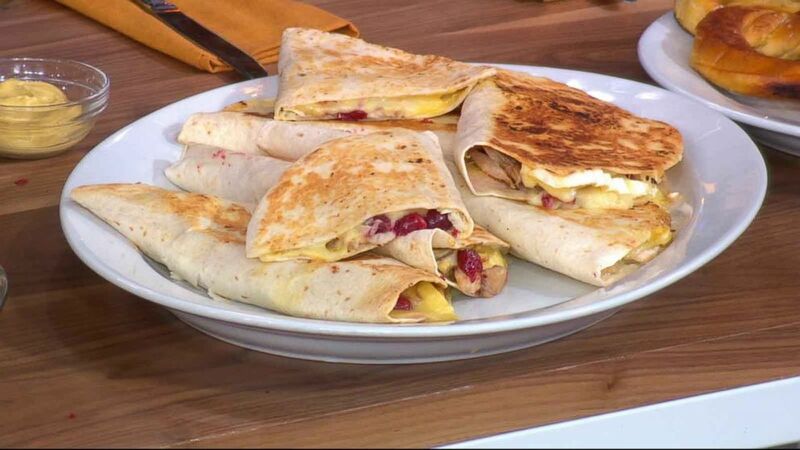 Divide the turkey over one half of each mustard-coated side; dress with cranberry chutney (about two tablespoons per quesadilla). Layer each with two Brie slices, and sprinkle with salt and pepper. Fold and press to seal edges. Brush on all sides with olive oil; transfer to two rimmed baking sheets. Bake, rotating the baking sheets halfway through until cheese has melted and tortillas are golden brown, 10 to 15 minutes. Let cool for 5 minutes before slicing into wedges. Serve topped with more chutney, if desired. Recipe note: Because Brie melts so quickly, it's important to use thick slices, and to place them toward the center of the tortillas. This way, the cheese won't ooze out of the quesadillas during baking. To make the tortillas more pliable, heat them over a direct flame until just warmed through (or heat them a few seconds in the microwave). (ABC News) Almost everything Thanksgiving leftovers pie from Martha Stewart Living even uses your leftover cranberries. Lofts suggested layering leftover stuffing into the pie shell first "as a base" to "prevent any moisture from the filling getting into your crust so your crust will be nice and crispy golden brown flaky." He also said to brush an egg wash onto the crust, which gets folded over like a galette, to make it golden and glossy. Heat the oven to 375 degrees. Melt butter in a large skillet over medium-high heat. Add leeks, carrots, thyme, one and a half teaspoons salt, and half teaspoon of pepper. Cook, stirring occasionally, until vegetables have softened, about five minutes. Sprinkle with flour; cook, stirring, one minute. Whisk in broth and add potato. Bring to a boil, then reduce heat and simmer, partially covered and stirring occasionally, until potato is tender and mixture has thickened, six to seven minutes. Add turkey. Let cool about 30 minutes. On a lightly floured surface, roll dough into a 15-inch round; fit into a deep-dish pie dish. Add stuffing and dollop of cranberry sauce, then add turkey mixture. Fold dough over, leaving center exposed. Brush dough with egg; bake 40 minutes. Dollop top with remaining cranberry sauce; bake until bubbling in center and bottom of crust is golden, 30 to 40 minutes more. If browning too quickly, tent with foil. Let cool at least 30 minutes before serving. Mix together equal parts country-style Dijon mustard and cranberry sauce for prize-worthy pretzel dunking. Save any leftovers for a turkey sandwich, or serve in place of plain mustard with a spread of charcuterie and sausages. Blend together equal amounts of softened unsalted butter and cranberry sauce, then spread the combo on warm waffles (or pancakes, or biscuits) in lieu of maple syrup. Simmer cranberry sauce with shallots and sherry vinegar, pour onto chicken legs before roasting! Serve with mashed potatoes. For a refreshing, and eye-opening, wake up call, top warm oatmeal with a pool of creamy, cool yogurt, and a few teaspoons of sauce. Use this dough to make our deep-dish pumpkin custard pie and birds-nest pudding pie. Directions: Pulse flour, sugar, and salt in a food processor until combined. Add butter and pulse until mixture resembles coarse meal with some pea-size pieces remaining. Drizzle 4 tablespoons of water evenly over mixture. Pulse until mixture holds together when pinched (dough should not be wet or sticky). If dough is too dry, add more water, 1 teaspoon at a time, and pulse. Form dough into a disk and wrap in plastic. Refrigerate until firm, at least 1 hour and up to 1 day.